Have a question? Read below for the answers to your most frequently asked questions. If you don’t see what you need below, feel free to contact us. Q: I have a child with Down syndrome. How can we get signed up for your programs and events? A: With offices in St. Louis, Nashville, and Los Angeles, we would love to have your family as part of the many events supported by the Pujols Family Foundation. Please see our events page and contact us for more information. Q: How are your programs funded? A: As a national 501c3 public charity, we rely on donations from the community to be able to continue to offer programs to the people we serve at no cost to them. This includes monetary, in-kind and common stock donations. These donations come from individuals, families, trusts, churches, businesses and other charities. Q: Our organization is having a fundraiser. How can I get a signed item for this event? A: Albert gets hundreds of autograph requests each week, many from wonderful organizations seeking items for an auction or a fundraiser. As a result of the overwhelming number of requests and the man-hours it takes to fulfill them, no autograph requests will be processed through the Foundation. Q: How can I get Albert to endorse my product or business? Q: How can I get an autograph from Albert for my personal collection? A: Due to the vast number of autograph requests Albert receives each week, it is humanly impossible for him to respond to even a fraction of them. We respectfully ask that no items be sent to the Foundation address for signing. We have a few items for sale in the Foundation online store and all proceeds go to support the work of the Foundation. Your best bet to get a free genuine autograph from Albert is in-person, at the ballpark. **Please Note**Due to our lack of staff dedicated to responding to unfulfilled autograph requests, any items sent to the Foundation address will be seen as a gift to the Foundation, and will not be returned. Q: If I make a donation to the Foundation, will Albert sign my item? A: Our board has asked that we not accept any autograph requests through the Foundation, even for donations. We have a very small staff and the time it would take to process and fulfill these type requests would drastically impact the time we are able commit to our mission. 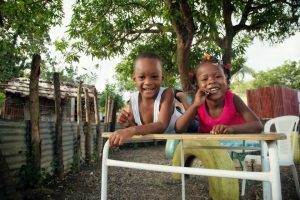 Q: I have a vacation to the Dominican Republic planned, how can I help the Foundation and the Bateys you serve while there? A: Your offer to help is greatly appreciated, however, most of the Bateys where we are working in the Dominican Republic are very poor, remote areas, hours away from resort areas like Punta Cana. Also, some of these villages can be very dangerous for Americans traveling alone. We would strongly advise you to investigate being a part of a larger, organized mission trip through your church or another international organization rather than venturing out alone, while on vacation. Q: I saw where the Angels are coming to my town, is there a chance I can meet Albert? A: I’m sorry, Albert has a very strict pre and post game regiment that doesn’t allow much time for meet and greets or personal contact while on the road. He will occasionally sign autographs at the ballpark. That would be your best chance of meeting him while he is visiting your city. Q: I am writing an article/book/paper on Albert Pujols, is it possible to get an interview with him? A: All media and interview enquiries must go through Jane Higgins at: janechiggins@me.com. Albert does not accept interview requests through the Foundation. Q: How can I apply for a grant with your Foundation? 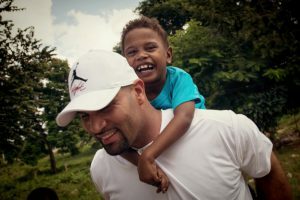 A: All of the programs and events supported by the Pujols Family Foundation are created and managed by the Pujols Family Foundation. 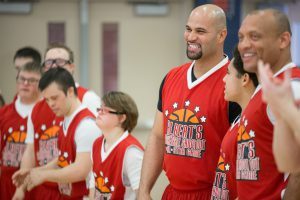 Any other areas of funding are carefully hand-selected by Albert and Deidre Pujols based on relevance and support of our existing programs. As of right now, we do not fund any unsolicited proposals. Q: How can I volunteer with your Foundation? Q: I have had a hardship in my family. Do you donate money to individuals in need? A: I am sorry, the IRS will not allow our Foundation to donate money, memorabilia or signed items to individuals. Q: How can I get Albert and/or Deidre for a public appearance or speaking engagement? A: Albert Pujols is not available for public appearances or speaking engagements at this time. Deidre does accept speaking engagements as they fit into her schedule. Please contact Jen Cooper for more details at 314-878-2105, or jen@pujolsfamilyfoundation.org. Q: How can I apply for a job with your Foundation? A: As of this time, there are no position openings, but that could change as the Foundation grows. Any job opportunities will be posted on this website. Q: I understand you use interns from time to time, how can I apply? A: Yes, we do have opportunities for non-paid internships through the Foundation. These are reviewed on a case-by-case basis, depending on workload, office space and program availability. For more information, please send your resume and qualifications to info@pujolsfamilyfoundation.org. Q: My company would like to get involved in what you are doing through the Foundation. How can we help your mission in a monetary or non-cash capacity? A: We are always looking to get more companies involved in the work of the Pujols Family Foundation. Please contact our national headquarters in St. Louis at 314-878-2105, or info@pujolsfamilyfoundation.org for more information.